For many years, nursing bras were primarily only available without underwires. The concern was that underwired nursing bras could restrict milk flow into the breast and cause clogged milk ducts, or Mastitis, an inflammation or infection in the breast. This concern about wires causing clogged milk ducts or Mastitis has subsided, as there are many other factors that can contribute to the conditions, although it is still important to wear a properly fitted bra while you're nursing to reduce this risk. Most women in D+ cups wear an underwired bra for everyday wear, so switching to a non-wired nursing bra can seem like a compromise. Here we've broken down the benefits of nursing bras with and without wires, as well as the disadvantages of each. Lift and separate the bust, with various cup shapes from projected with seams and structure to seamless or foam cup styles. Allows for less fabric in the cups to cover and support the breasts, therefore more versatile underneath tops. Shoulder straps can be positioned further to the side to allow for more open necklines, also making it more versatile under clothing. Having the shape, support and style of bra more similar to your everyday basics will be the biggest advantage to an underwired nursing bra. Some styles of nursing bras, like the Anita Paisley and Freya Pure have more flexible underwires for comfort. The Ulla Lilly Nursing bra is unique, as the underwires can be removed, and the bra can be worn with or without the wires. By lifting up the elastic underneath the arm, the wires can be removed for comfort, or for laundering. 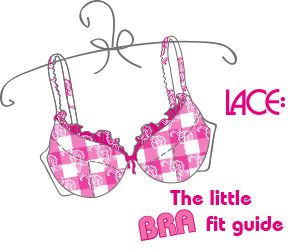 The fit is inflexible, a wire too small can cause pressure on the breast. It is not recommended to sleep in a wired nursing bra. Underwires may be uncomfortable when the cup is too large, or too small. It's important that when choosing an underwired nursing bra that the cups and wire fit well when your breasts are at their fullest, for both comfort and minimising your risks of clogged milk ducts. The size and fit are more flexible as your cup size will fluctuate throughout the day. Comfort as there is no pressure on the breast or torso from a wire that is too small. Ability to wear to sleep as there are no wires to restrict or press. Laundering is easier as the bras have no wires. Comfort will be the biggest advantage of choosing a non-wired nursing bra as your breasts will become engorged throughout the day between feedings, changing the size of your bust. It can be difficult to achieve definition and separation of the bust. The cups will require more coverage to lift and support the bust. More seams will be required to lift and shape the bust. Shoulder straps will be positioned closer in, over the fullest part of the bust for maximum support, reducing versatility with tops, but offering good support. There can be some compromises with the support and shape when larger busted women choose a non-wired nursing bra, but can also be the most comfortable option as your size changes between feedings.